You're too kind. The anonymous commenter could have sent you an email with a polite warning if they were looking to help. Posting your address in a public forum is NOT helpful. People can be such jackwads. I'm impressed by your decisiveness with paint colors. I agonized over colors until the night before the painter showed up to get the paint order. And then still changed a couple rooms on him mid-painting. Yay for great Craigslist finds! Loving these new house/decorating posts! i'm with you on the paint fascination...i love how you tell us what color it's replacing...HAHAHAHA!!!! and look at you all on top of things already. come on down to nash and help me considering we still have beige walls everywhere=YUCK. Can I hire you when I buy a house and need colors? I get totally and completely overwhelmed by paint swatches. I'm completely floored by your choices and I want to paint something Pale Oats riiight now. 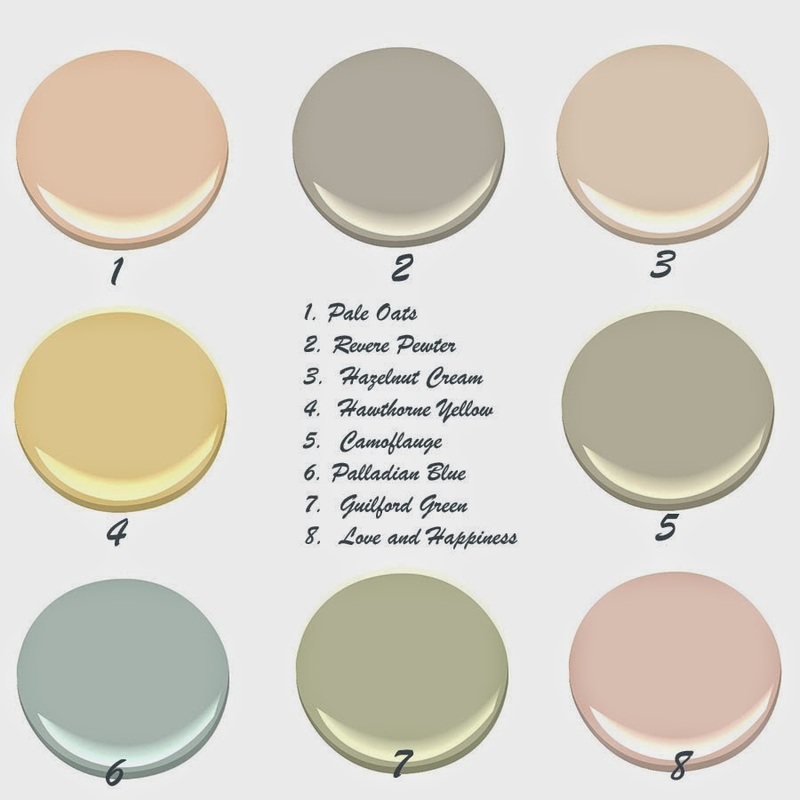 I'm THE WORST at picking paint colors even though I love doing it (that's a missing stanza from an Alanis Morissette song, I'm sure of it) -- bookmarking this post for future reference! I actually stopped blogging for the safety of my family. It is not difficult for someone to figure out where you live if you post your last name and in today's world even using your first names and the city you live in. There is another blogger that won't post her last name but will tell you every race she's run and the time she ran it in so if you wanted to know her last name its there in the race results (I'm a runner too). Lastly- it drives me crazy when bloggers post that they are going out of town beforehand- THIS IS DEFINITELY NOT SAFE. Sorry to rant, but it's bad enough that strangers steal blogger photos and use them as their own family I hate to think what could happen when it goes another step further.